Beautiful home in a great Broomfield location! This is a special house with many custom features. Nice open floor plan with vaulted ceilings and over 3,500 finished sq.ft. Large main floor master with gorgeous 5 piece master bath. Nicely updated eat in kitchen with hard wood floors, granite counters,stainless steel appliances and 42" cabinets. Not your average finished basement, one of the best you will see in this price range. Includes a media room complete with a huge projection screen tv and built in surround sound, custom bar with sink, built in cabinets, dishwasher, and mini fridge. Additional Bonus space for pool table or play area, huge laundry room and a half bath. 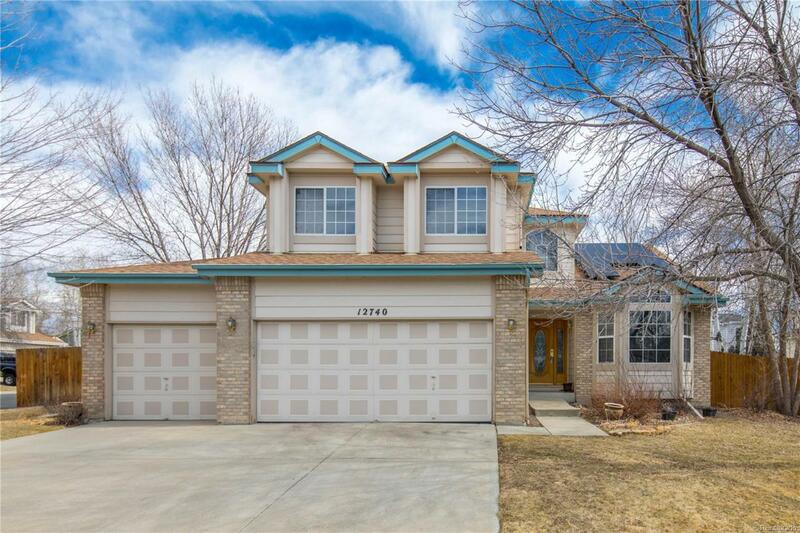 Newer roof and owned solar panels, security system, large corner lot, walk across the street to the Broomfield commons open space trails and stunning views of snow capped peaks. Close to shopping, dining, and great schools.